Drama for Success is an innovative program that uses drama education to support all learning and teaching styles. Drama for Success engages students, teachers, parents, and community to make learning fun and enjoyable for everyone. 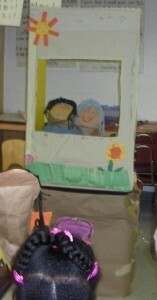 Learning is presented through interactive workshops that use drama techniques such as role paying, improvisation, skits, and appropriate scenarios to teach concepts. Find out more by exploring our website: http://www.dramaforsuccess.com.